Our community of new townhomes for rent features two designs built to accommodate the lifestyles of savvy renters. 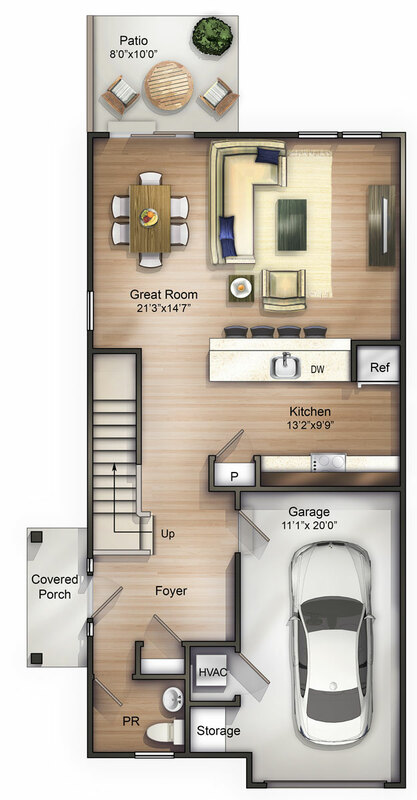 Choose from our three-bedroom, 2.5-bath townhomes or two-bedroom townhomes with 2.5 baths and a loft. Learn more below. 3 Bedrooms, 2.5 Baths, 1,655 sq. 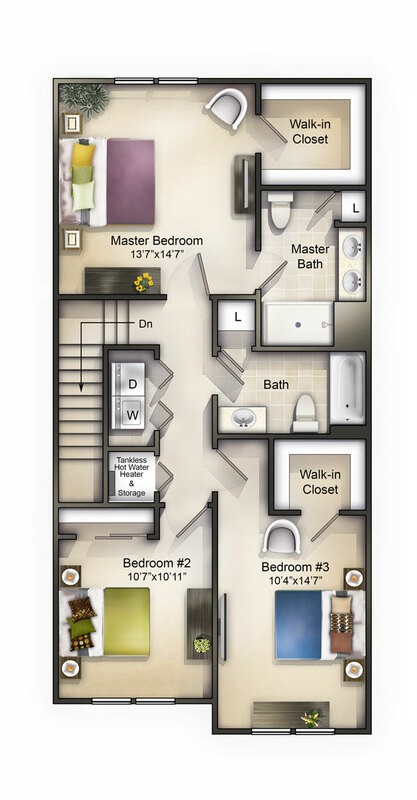 ft.
Our three-bedroom homes include a master suite with large walk-in closet and en-suite bath. Enjoy direct garage entry and a designer kitchen, plus an expansive great room with patio access. 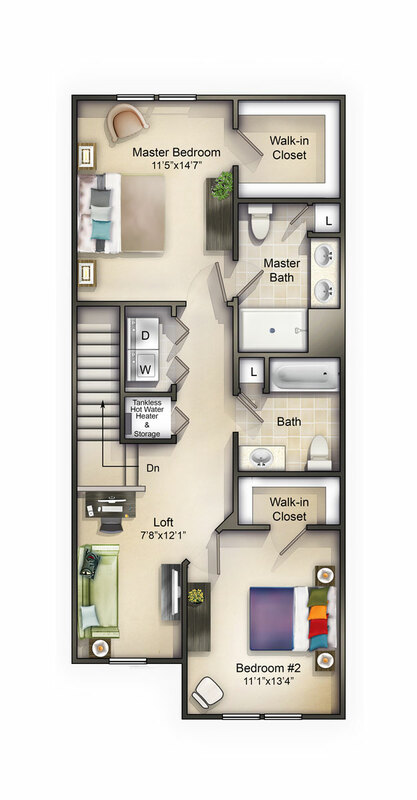 2 Bedrooms + Loft, 2.5 Baths, 1,495 sq. ft. Experience the flexibility of added living space in our homes at The Enclave at Winslow, featuring a large great room and upstairs loft. 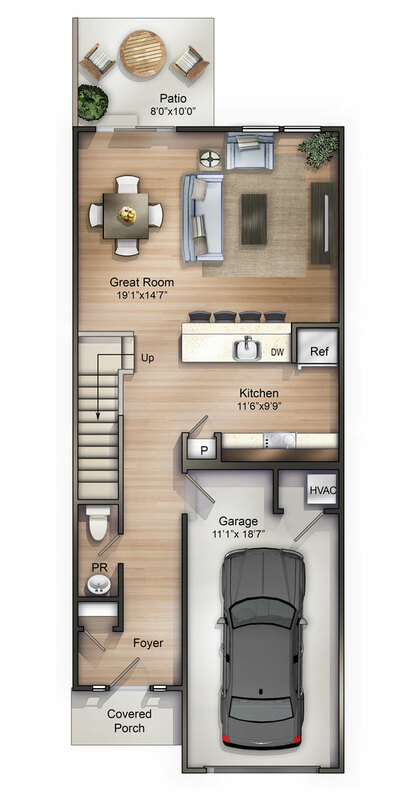 Two bedrooms include a private master suite with walk-in closet and en-suite bath, and an outdoor patio gives you even more room to enjoy life. Come home to The Enclave at Winslow. To learn more about our new townhomes for rent opening January 2017, fill out the form below. We’ll be in touch shortly. © 2019 Kali Road 105. All rights reserved. South Jersey’s premier homebuilder for over 50 years. Premier builder status of the JD Power Award for customer satisfaction – 6 consecutive years.